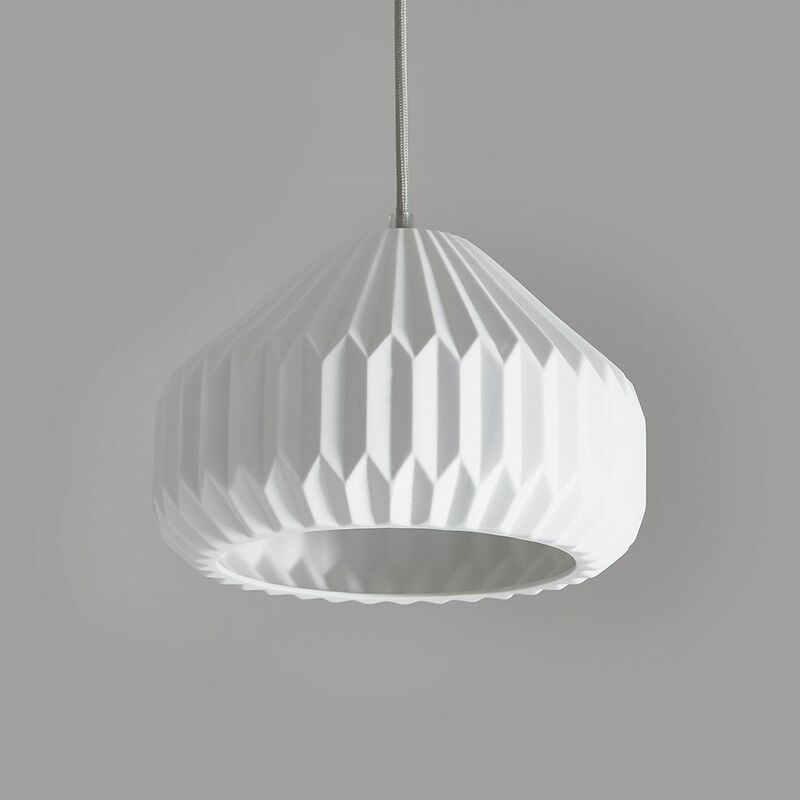 This lovely ceramic pendant is perfect for pretty much all interiors and spaces, given its neutral colouring, size and styling and looks great lit or unlit. It comes with approximately 4ft of clear flex (not the grey shown!) 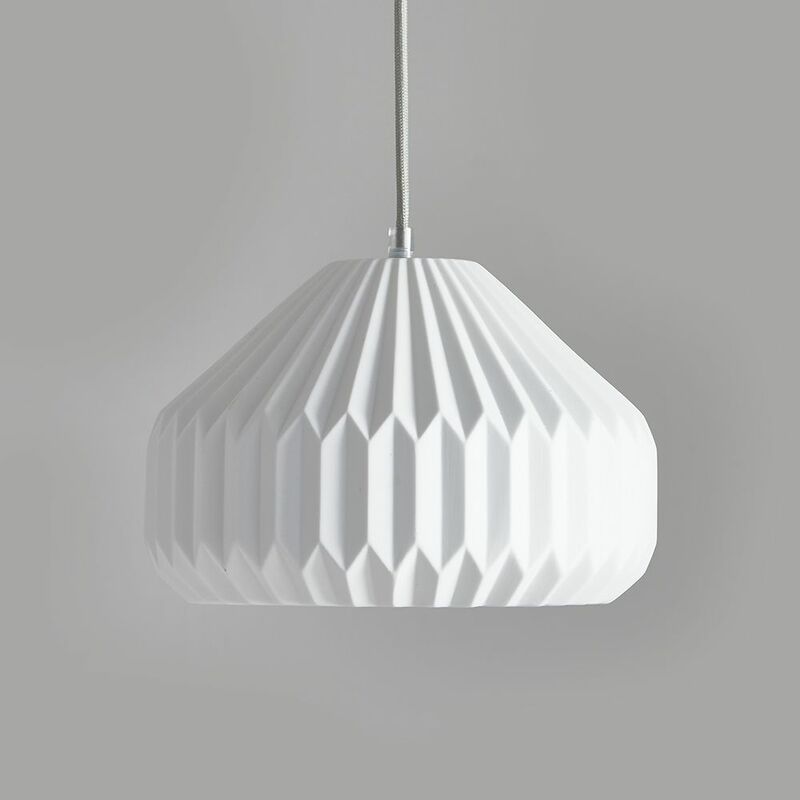 which can be shortened to any length and an aluminium ceiling rose. Ideal in kitchens, bedrooms, dining rooms, hallways or living rooms, they look great on their own and also in 2s or 3s. Takes a standard E27 (large screw) bulb and is dimmable. 25cm dia x 20cm high.